Sometimes handmade crafts can take a lot of tiime. This Flowering Buttons is one that is fairly time consuming thought it is not vey hard too make. 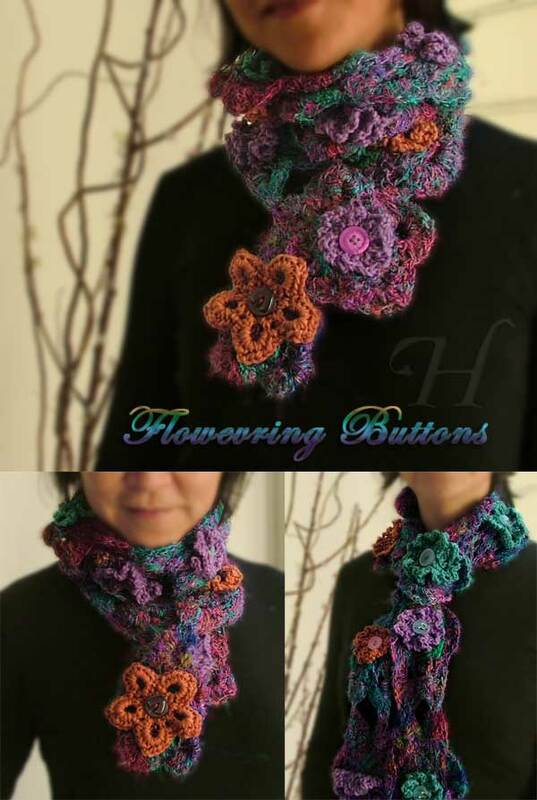 The scarf is make of large crochet flowers; each made separately and to be joined later. 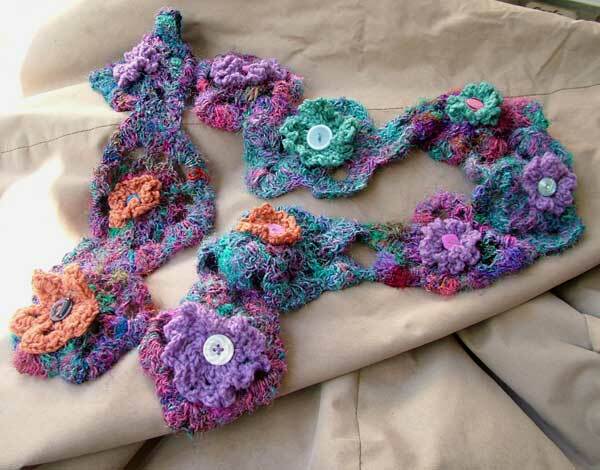 For each large flower, make 2 smaller flowers - here I have made different colored smaller flowers to each large flower. 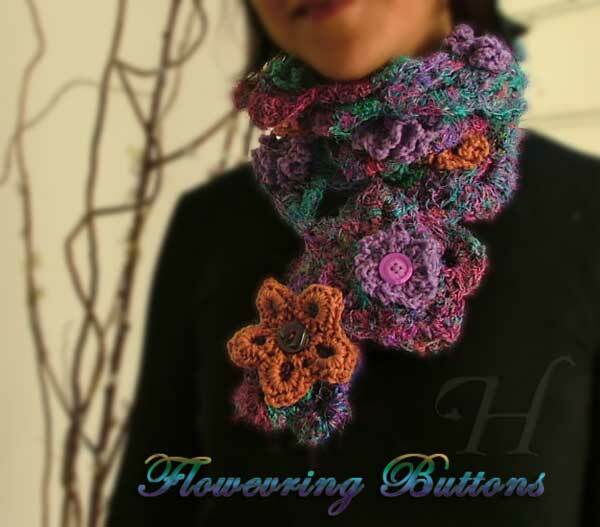 The smaller flowers are then attached onto each side of the large flower; each small flower is topped with a button of your choice. 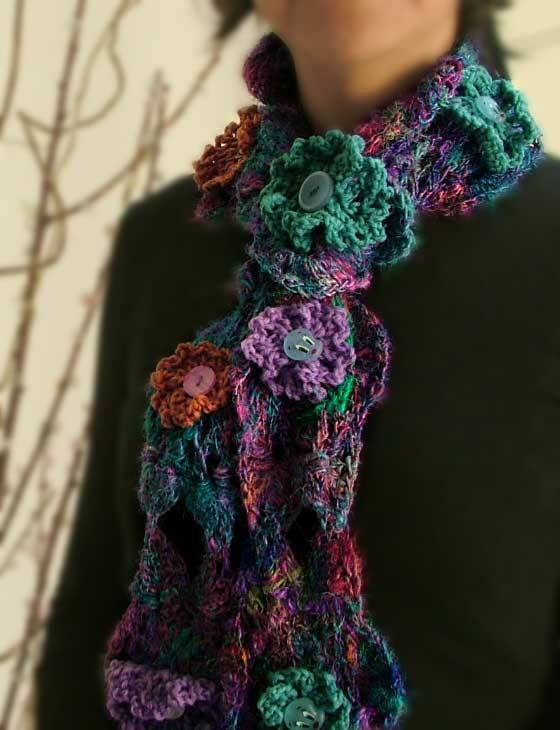 Once the large+2 small flower pieces are completed and neatened, then join the large flowers together to make the long scarf. 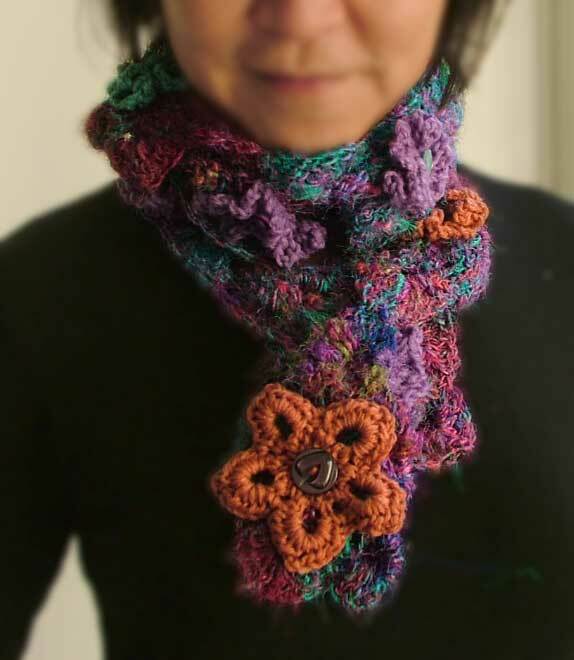 I generally don't like this kind of work because when making handmade crafts like crochet and knitting, I find the joining and endless sewing the most tedious. Especially if you have to start, neaten, finish multiple times. However the final result is sometimes worth all the effort!